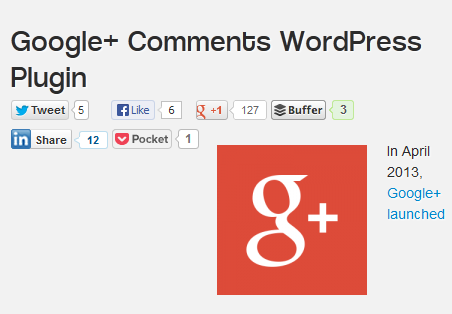 Google+ Comments: a very good implementation of Google+ Comments for WordPress. It makes your comment section tabbed, so you can have Facebook and Disqus enabled. Google+ Comments Widget: adds Google+ comments to your site. You can set your comments so your visitors can view them if they like. 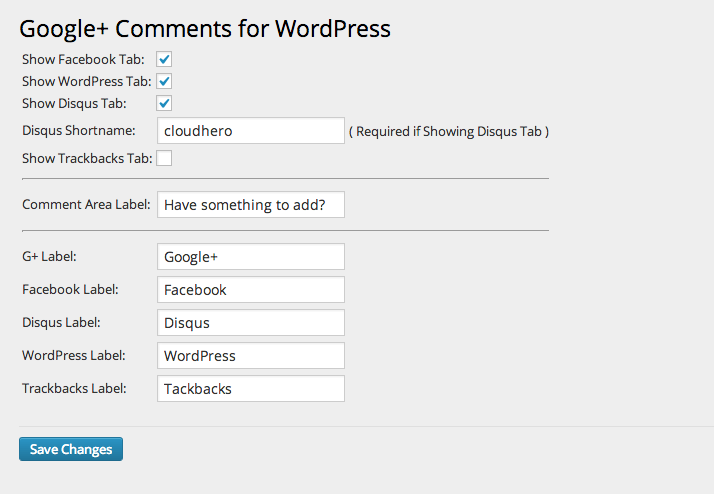 Google+ Comments WordPress Plugin: another decent implementation of Google+ Comments for WordPress. It shows your Google+ activities in addition to comments. Have you found better Google+ Comment plugins?